Just when you thought it could not get any worse, it does. Just check out what the DNC did to our symbol of freedom following B.Hussein's acceptance speech in Denver. 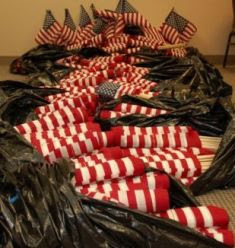 They took our symbol of freedom, liberty, and pride and tossed it into the trash like yesterday's garbage! 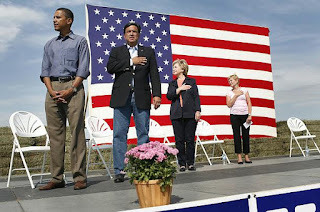 It's bad enough when Obama refuses to cross his heart and show respect when the pledge is recited, or when our national anthem is played. Tell me, why the heck would any true American want to elect someone to be President who refuses to show respect to this nation, and what she stands for! I can promise you that John McCain is proud to be an American, having served his country, the man is a war hero, Obama, NOT!